In love with Formula 1: Russian GP: Hamilton won dramatic Russian GP! Russian GP: Hamilton won dramatic Russian GP! Russian GP was extremely dramatic right from the start until the very end. First of all, I considered it a true miracle that Toro Rosso's Carlos Sainz was able and allowed to race after that terrible crash yesterday! When lights went out Rosberg got a good start although Hamilton was seriously challenging the German into the first corners. Kimi from P5 got a rocket start and he had passed his team-mate already on the starting straight and made his way past Bottas into turn 2. Kimi seemed so determined to fight for the podium place! Already on the opening lap Force India´s Hulkenberg and Sauber´s Ericsson collided, which ended the race for both of them. Safety car was deployed. There was a dangerous-looking situation when Rosberg braked very heavily after hearing about the safety car and Hamilton could just barely avoid hitting Rosberg´s rear. Kimi in third place was also close to hitting Hamilton´s car but luckily there was no contact between either one of them. On lap 4 safety car came in and the race was on again. Immediately after the re-start Bottas took his 3rd place back from Kimi and at this stage Williams seemed significantly more competitive than Ferrari. Rosberg in the lead suddenly reported on the team radio having problems with the throttle. Soon after that his Mercedes proved to be undrivable. The German couldn´t help sliding wide in the corners and in no time Hamilton passed him and snatched the lead. Also Bottas overtook Rosberg and the Ferrari duo did the same a moment later. There was nothing to be done By the team to fix Rosberg´s problem and he had no choice but to pit and retire the race. A very devastating moment for the German as it would have been an absolutely valuable victory for him in terms of the championship battle! At the same time there was intense battle between the Ferrari team-mates. Sebastian made it alongside Kimi but the Iceman seemed absolutely determined to keep his German team-mate behind him. Tight but fair battle! Safety car was deployed again on lap 12 as Lotus´s Grosjean lost control of his E21 and crashed into the wall with high speed. Luckily the Frenchman was unharmed but his race was over. The top eight drivers continued on track but Ricciardo in his Red Bull and Perez in his Force India pitted for a fresh set of tyres. In terms of Perez this turned out to be a wise move indeed. 5 laps later it was time for the re-start. It didn´t go to plan for Kimi and Sebastian once again made his way alongside the Finn. Kimi went wide and let Sebastian past him a moment later. 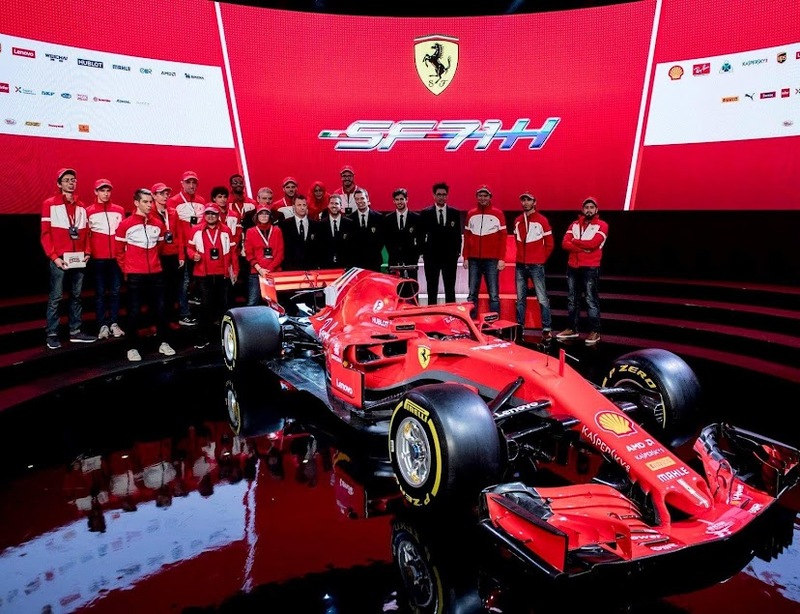 It was an expected move from Ferrari as Kimi no longer has any chance to win the championship whilst Sebastian still has a mathematical chance to win the title. Midway through the race Sebastian had already closed the gap to Bottas in P2 and was within DRS distance from the Finn. Bottas was the first one of them to pit for a fresh set of soft tyres. The Finn hit traffic when he rejoined the track and Sebastian pitted a few laps later. The German´s pit stop took only 2,2 seconds and he jumped Bottas when exiting pits. Kimi pitted a lap after Sebastian but in spite of a great pit stop he couldn´t quite jump Bottas. Hamilton was leading the race, Perez was second (he had already pitted during the second safety car), Vettel was third, Ricciardo 4th (also pit stop done during the second safety car), Bottas 5th and Kimi 6th. The Finnish countrymen had wheel-banging battle for the 5th place but in site of the intensity their battle was fair. At the same time Sebastian had made his way ahead of Perez and was in P2. I was seriously doubting if Perez could go till the end with the same set of tyres... Unfortunately Sainz had to retire from the race due to brake issues but his driving until then was quite impressive! Hamilton was leading the race in a class of his own and he had increased his gap to Vettel already up to 12 seconds. Sebastian had a firm grasp on the second place as there was another 10-second gap to Perez behind him. But with some 10 laps to go it turned out that there was going to be a huge battle for the last podium place! Bottas in his Williams made a staggering overtaking move on Ricciardo and made his way past the Australian! Kimi tried to repeat the same but went wide again and had to give the position back to the Red Bull pilot. But a couple of laps later the Iceman managed to get past Ricciardo and he seemed passionate to fight for the podium place. Bottas had already smelled Perez´s blood and Kimi started chasing the Mexican as well. Towards the end of the race Perez, Bottas and Kimi were all within DRS distance from each other and it was the beginning for a hair-raising battle. On the second last lap Bottas forced an overtaking move on Perez, who was seriously struggling with his tyres. But the 4th place clearly wasn´t going to satisfy Kimi, who wanted to make it on the podium today. On the very last lap of the race there was huge drama: Kimi made "a hero or zero" move on Bottas, which ended in a collision between the Finns! Bottas´ race was over and Kimi´s SF15-T was significantly damaged and there was huge amount of sparks flying around as the Iceman tried to make his way till the chequered flag. Hamilton cruised to victory, Sebastian finished 2nd and Perez, who had been overtaken both by Bottas and Kimi, ended up 3rd after all! Massa in his Williams also managed to overtake Kimi on the closing lap and the Brazilian finished in P4 ahead of Kimi. Kvyat finished 6th in front of his home crowd, Nasr 7th, Maldonado 8th, Button 9th and Alonso 10th. However, the incident between Kimi and Bottas was investigated by the stewards and Kimi was handed a 30-second time penalty for causing the collision. This meant that Kimi dropped from P5 down to P8. Alonso was also handed a 5-second time penalty due to not respecting the track limits at turn 16, which dropped the Spaniard down to P11. Kimi´s penalty meant another inevitable fact, too: Mercedes officially secured the constructors´ championship! I understand well why Bottas was absolutely pissed after the race. On the closing lap the podium place was within his reach but success turned into a bitter disappointment. I didn´t like the collision, either but I absolutely loved the Kimi we saw on track today! Formula 1 racing is all about passion and Kimi drove with true passion today. It doesn´t always end in a beautiful way but that´s how motor racing is. And had the overtaking move worked, it would have been seen as "a heroic move". When there´s a slightest chance, you´ve got to go for it... Even though it doesn´t always end well! So all respect from me for Kimi for driving passionately today! And fourth podium in a row for Sebastian made me very very happy today! As far as the drivers´ standings are concerned, Sebastian made his way past Rosberg. Sebastian is now 66 points down on Hamilton and 7 points ahead of Rosberg with 4 more rounds to go. Can´t wait what will happen in Austin in a fortnight...!